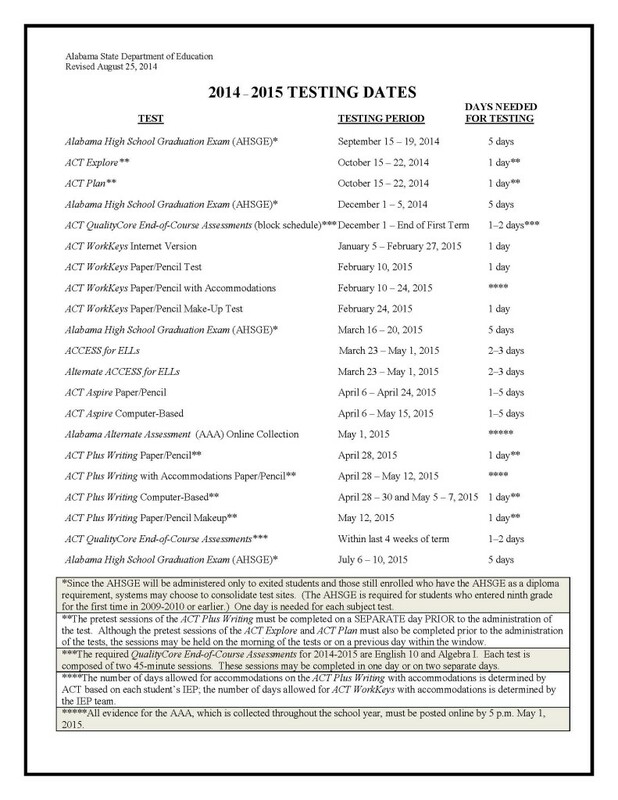 The 2014-2015 state-mandated testing schedule has arrived. (1) the Alabama Science Assessment (ASA), given in grades 5 and 7, is being replaced by the ACT Aspire Science exam in spring 2015. 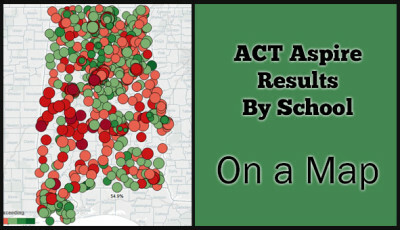 The decision to use the exam was made back in 2013 when the State Board of Education adopted the full set of ACT Aspire assessments, making Alabama the first (and still, only) state to do so. (2) the ACT WorkKeys will be given to students in 12th grade in spring 2015. 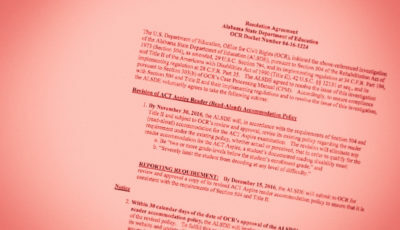 The ACT Explore and ACT Plan will be replaced by the ACT Aspire in the 2015-2016 school year. Here’s info from ACT about the transition. While I’ve written about how much standardized testing is done each year, the chart from this post needed an update. The tests on the chart below are the only ones that are mandated by the ALSDE. 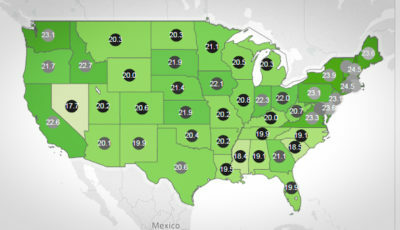 The Alabama High School Graduation Exam (AHSGE) is not on the chart because the only students required to take the AHSGE are those who entered the ninth grade in 2009-2010. If your children are taking other tests, that decision was made by your local Board of Education and Superintendent. Much has been said about how much time students are spending on standardized testing. So here are the tests and the amount of time students are given to complete these tests. Alabama Association of School Boards Spring 2014 Issue contains a thorough article about the new assessments, beginning on page 19. 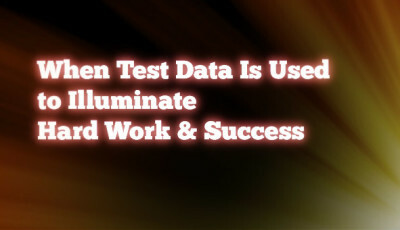 Check out ACT Aspire’s web site for more information about the actual test.